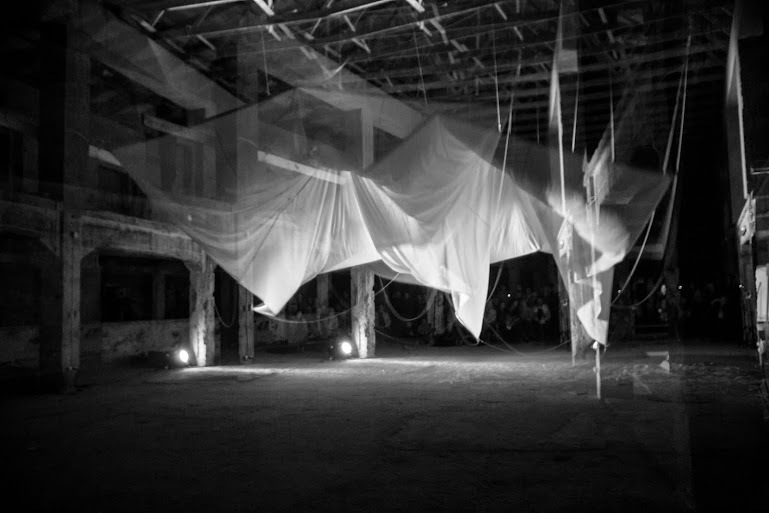 The scenography was created for a performance without actors. The scenography itself is the protagonist. The work is the result of a deep research in the field of kinetic scenography, and an attempt to use scenography as a story teller. 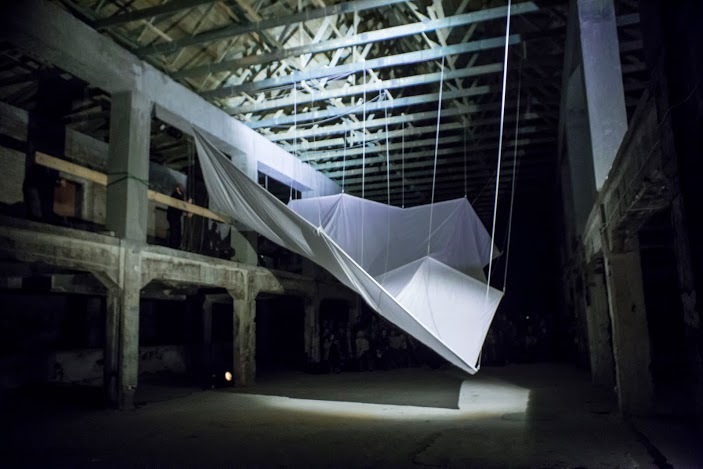 Francesco Fassone, by creating scenic machineries with the employment of tools, derived from navigation and stagecraft and shared by both of them (ropes, pulleys, cloth), makes a research on the prospect of making a travel within the limits of a narrow space. 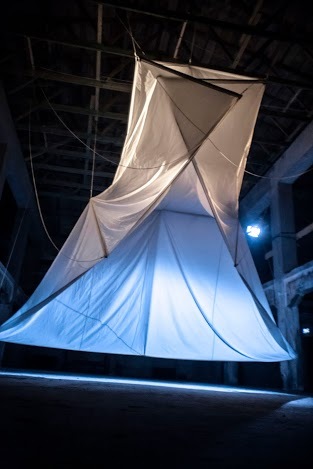 Shape is an apparatus composed by a connection of pulleys and ropes, fixed to a big white cloth (50 m2), made of a sailing textile, with an adjustable strucure, like a sail foot, installed inside an architectural space. 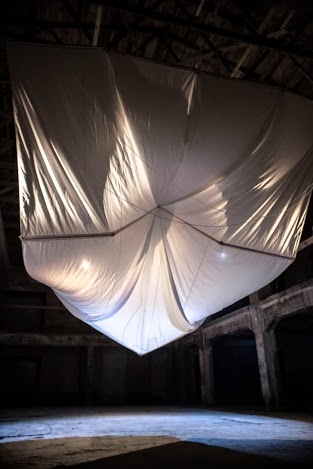 The mechanism, driven manually, by two stagehands, like a sail operated by sailors, can move within the ambient, crawling on the surfaces and transforming, creating an incessant process of permutation, evoking different spaces, abstract forms and sensations. 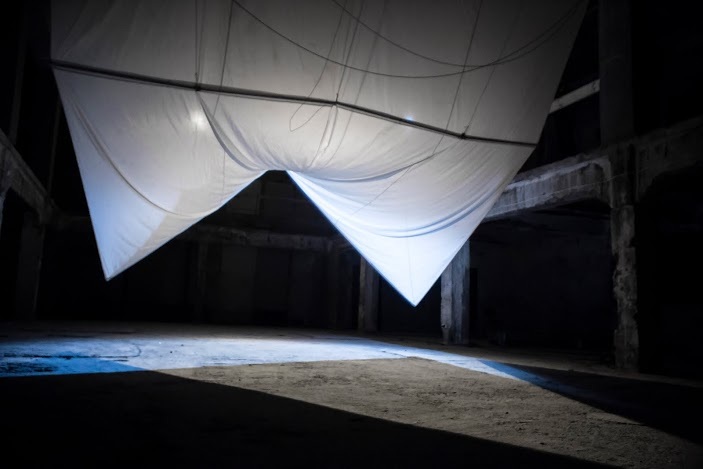 Francesco Fassone is an architect, working in the field of set designig, exhibition and installation designing. He collaborated with different directors, in Italy, France and Poland: Marco Mattolini, Emiliano Bronzino, Beppe Navello, Fausto Brizzi, Claudio Insegno, Luciano Nattino, Robert Talarckzyk, Miriam Tanant, Oscar De Summa, Frosini-Timpano. In 2014 he received a nomination for the "Polish Golden Mask" for the scenography of the play "Cinema", produced by Teatr Salskie, in Katowice. He created installation and exhibition for the Reggia di Venaria Reale, Milan Fashion Week, Rome Fashion Week, Royal Palace in Turin, Royal Palace in Milan. His most important works, in the field of theatre are: "Sette"-director Marco Mattolini-"Tre Sorelle"-director Emiliano Bronzino-"Zio Vanja"-director Emiliano Bronzino-"Cinema"-director Beppe Navello-"L'ultimo giorno di sole"-director Fausto Brizzi-"Cancun"-director Marco Mattolini. His lectures at Milan Polytechnic, Turin Polytechnic, Venice European Design Institute.